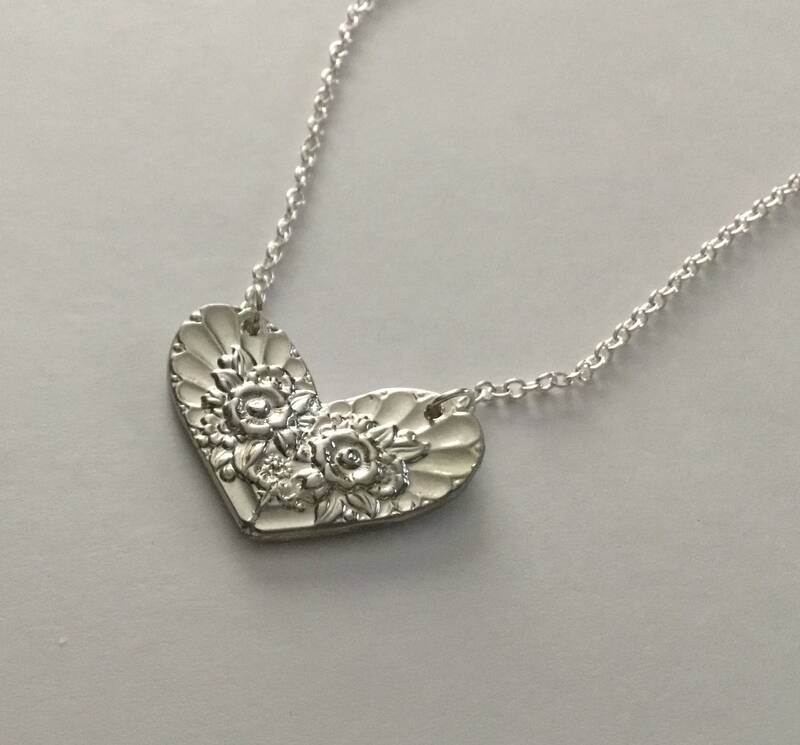 This is a charming and romantic handcrafted heart pendant made by Steve in our own studio. 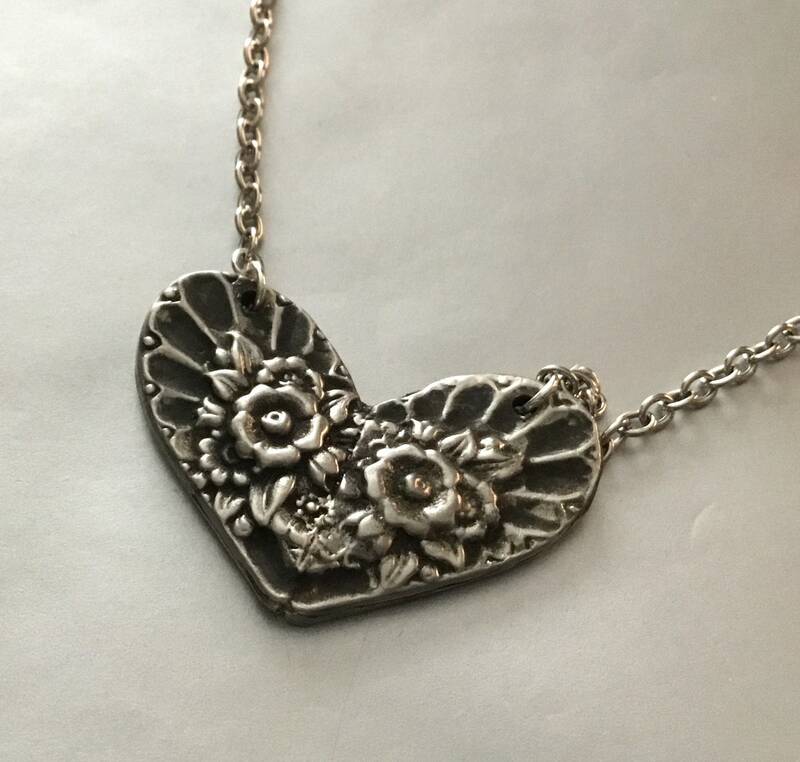 It was inspired by vintage silverware with its wonderful floral and Deco patterns that he uses for rings, pendants, brooches, and bracelets. 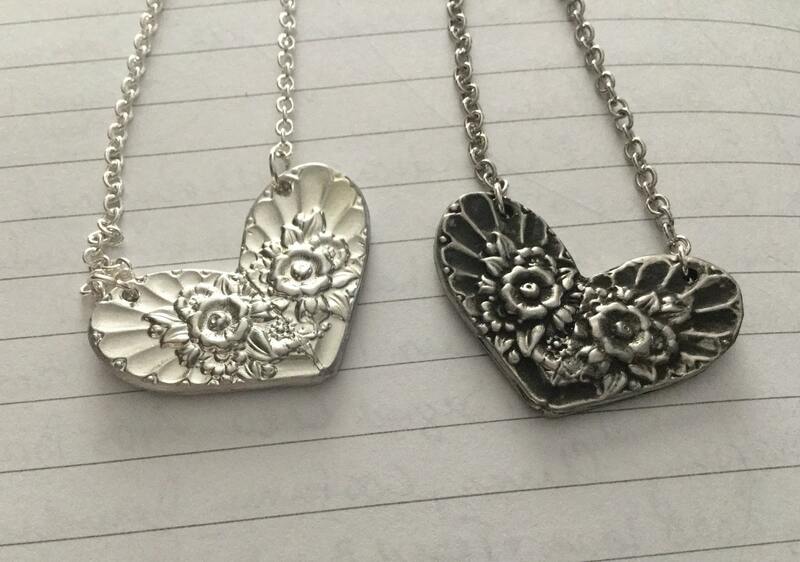 He has taken two spoon handles, cut them, and joined them to create a heart shape. 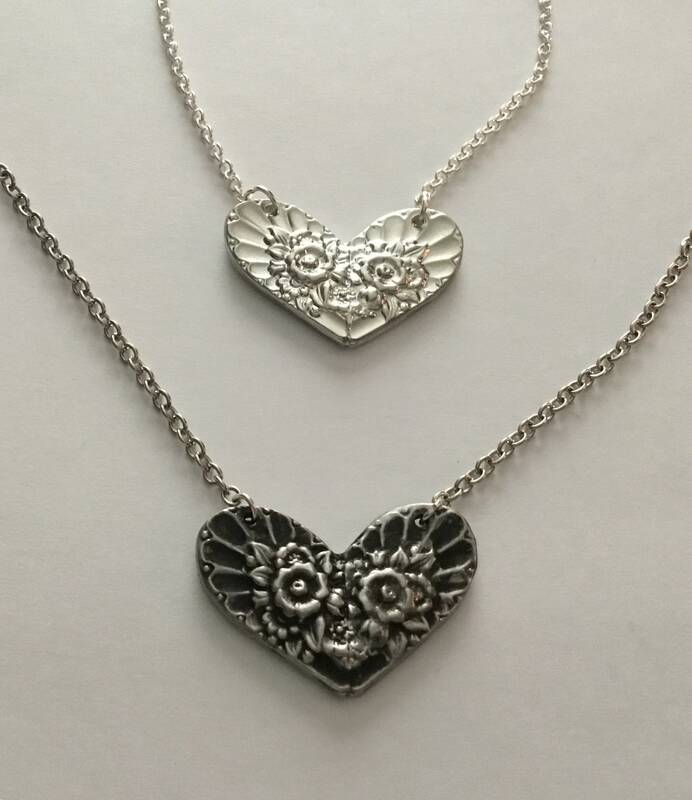 He then created a mold and uses that to cast these lovely pieces in jewelry grade Pewter that is lead an nickel free. 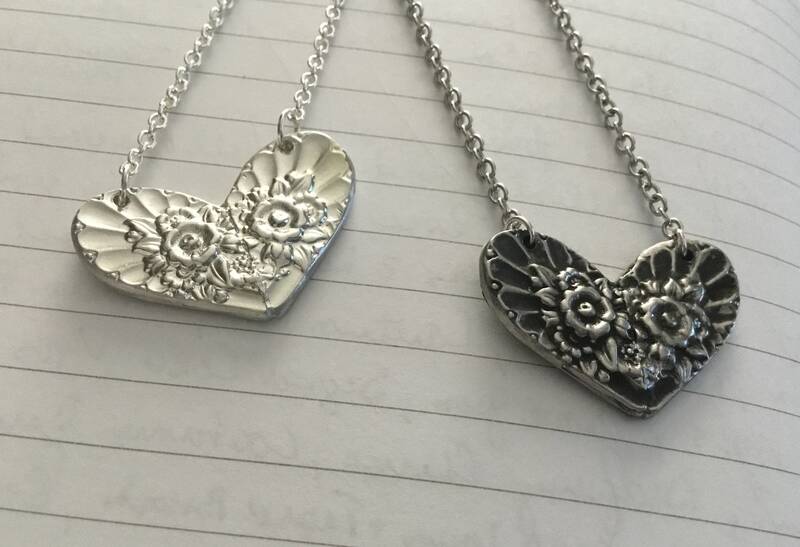 Some hearts have been left with a nice shine that will not tarnish. 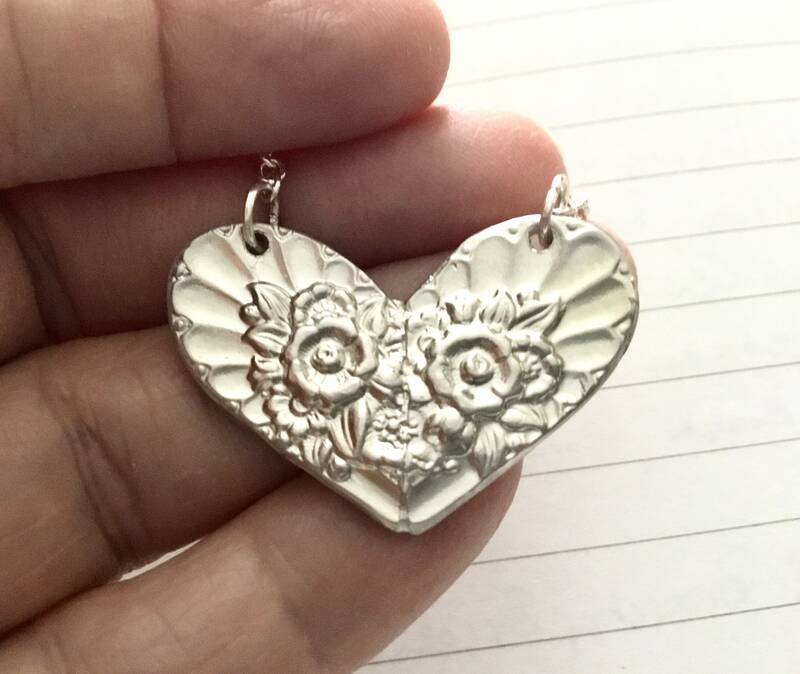 Other hearts have a light patina to highlight the patterns and to give the heart some age and contrast. 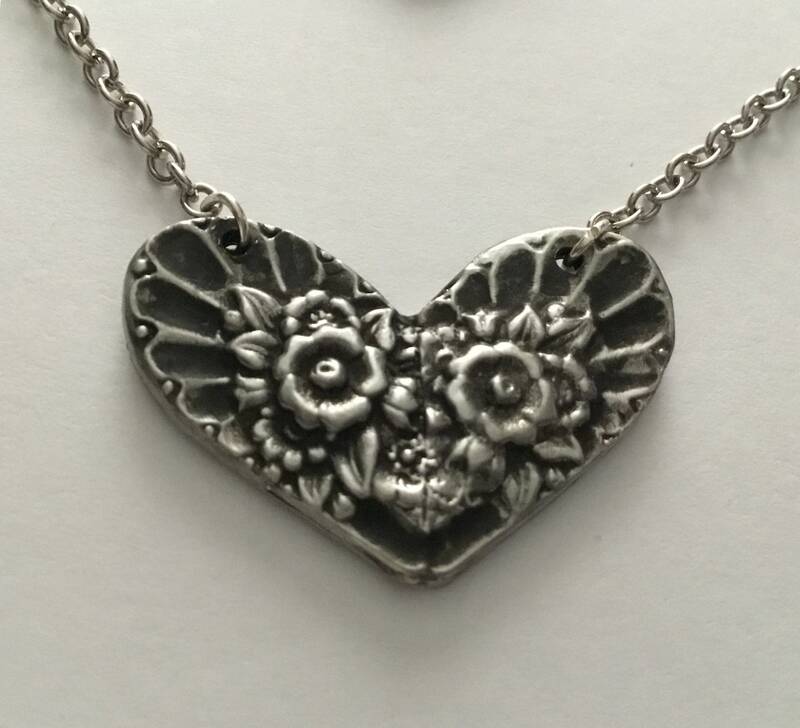 The heart measures 1 1/4” x 1” and comes with a silvertone 18” chain. 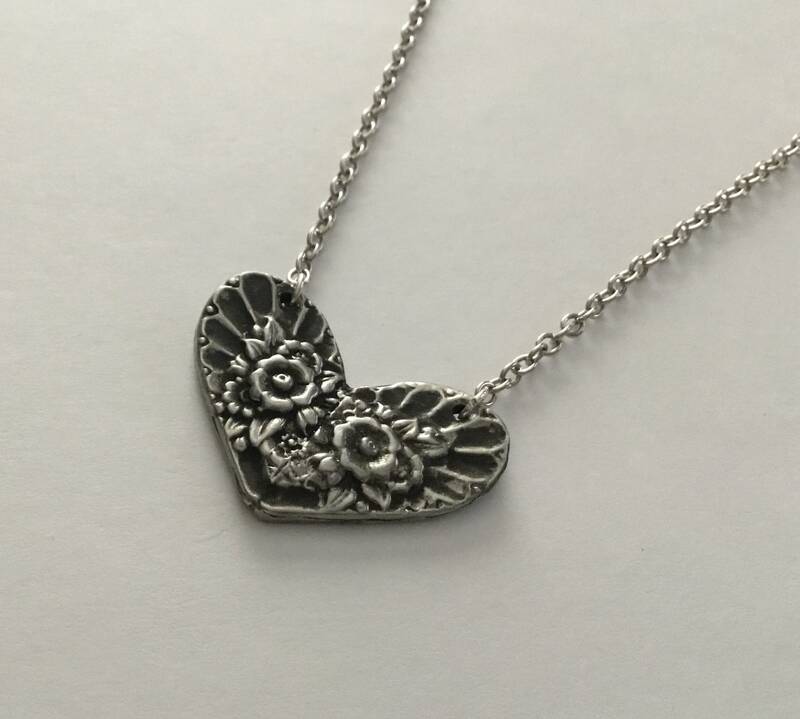 This listing is for either the antiqued version or the shiny version of the heart pendant. 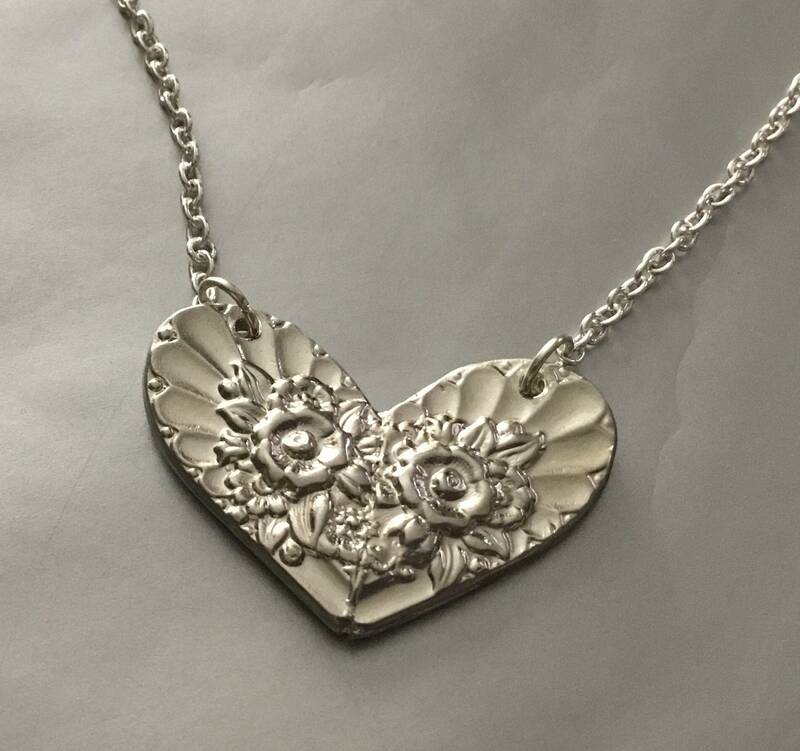 A romantic, fabulous, and unique heart pendant that will definitely be a conversation piece. 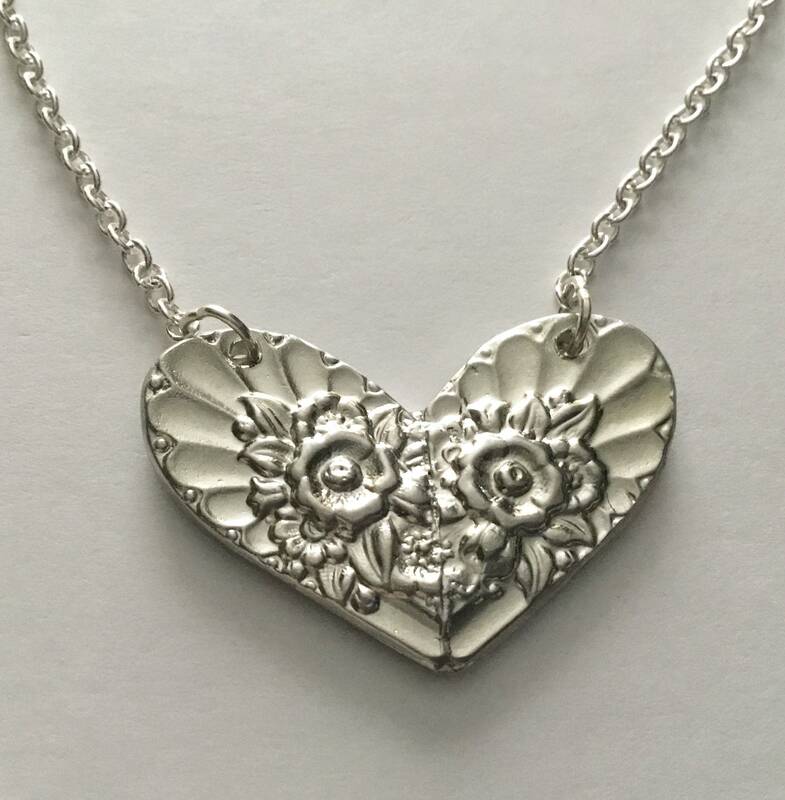 Wear it for work or play, or to give as a lovely gift. Than you for visiting our shop.